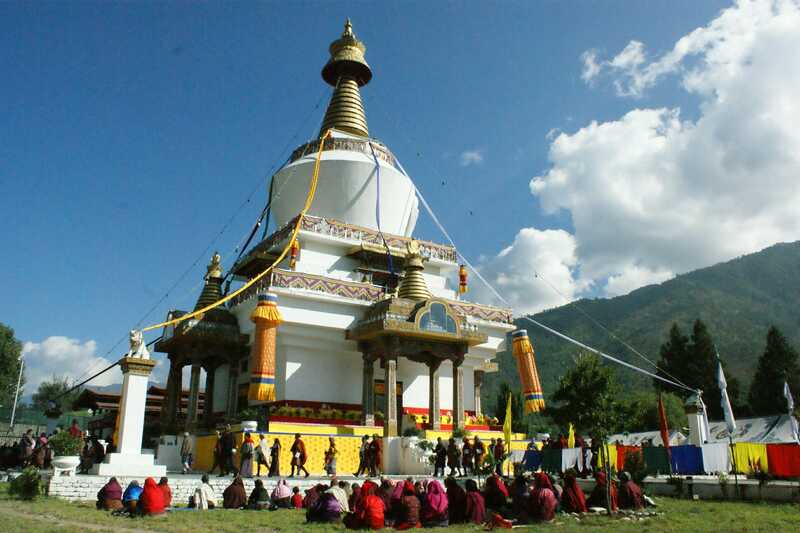 As the name suggests ” Memorial Chorten” it is a Stupa build in memory of the Third King of Bhutan, King Jigme Dorji Wangchuck” by his mother, the Great Grand mother Queen Phuntsho Choden in the Year 1972. This Memorial Chorten lies in the heart of Thimphu City and is a very important land mark in Bhutan. Many great Buddhist practitioners hold religious teaching and give blessings at this Stupa thus almost all the time there is some function going on here. This Stupa houses many wrathful deities in larger than life size forms. It has a lawn where its a social gathering space for elderly Bhutanese citizens thus visitors to this temple will see many Bhutanese oldies in groups chit chatting. Its like a day time old age home.